I’ve decided to spend on bubbles. I like being the grown-up with several bubble wands tucked into my bag for playground time. It’s nice to let kids take turns. Some accidentally spill bubble solution, and that’s okay. It’s a learning moment. Some have a hard time taking turns, and that’s also a learning moment. When I can, I like bringing a wand and a tray for making large bubbles. No automatic bubble-makers, though. I like the way manual bubblemakers require you to learn how to control your movement or your breath. I may eventually try different frames and practise bubble-making techniques. Even the bubbles I can get from the Dollarama large bubble kit test most kids’ ability to resist popping large bubbles (they rarely survive long enough for people to enjoy looking at them! ), so I don’t have to worry about making larger bubbles unless, say, we’re just hanging out in the backyard. Small bubbles: A- She can both blow bubbles and wave bubbles out of the regular wand. She usually goes at the right speed, although sometimes she still goes too quickly. She holds the bubble wand container upright and can dip into it herself, and she gives it to me to close when she’s done. She usually dips it gently, although she gets influenced by kids who dip the wand multiple times quickly (that creates foam, which makes it harder to blow big bubbles). Large bubbles: She can wave bubbles out of the large bubble wand, although they tend to pop on her clothes because her arms are short. She generally doesn’t blow bubbles out of the large bubble wand – maybe because she doesn’t want them to pop in her face. 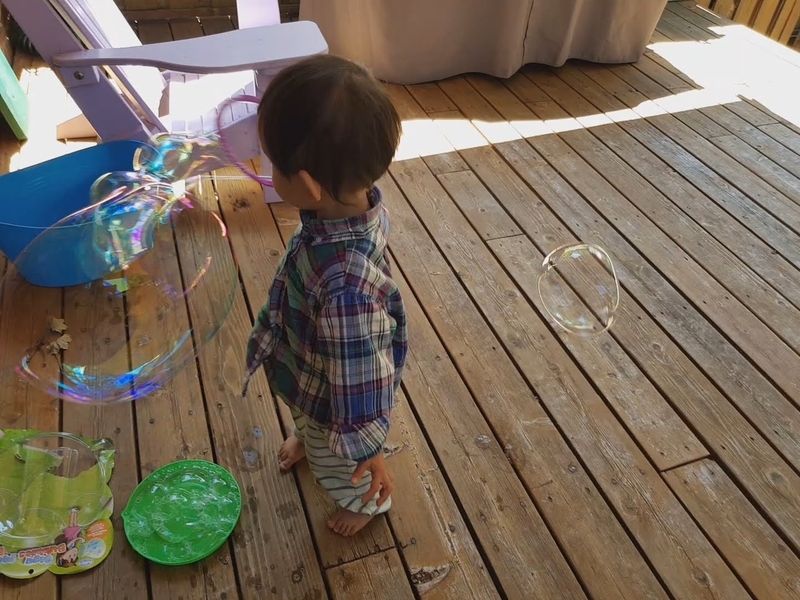 Social: A- generally likes making bubbles, asking “May I have a turn?” She doesn’t seem to mind sharing the bubbles with other kids, and occasionally offers the wand to others. We usually attract quite a few kids who set up a regular rotation, so it’s a great way for her to see turn-taking up close. She can wait for a few people’s turns, although she prefers to watch instead of occupying herself with an alternative activity. I talk to A- about how happy the kids are because she’s sharing her bubbles, pointing out how they’re chasing bubbles or making bubbles. A- doesn’t like chasing bubbles when there are lots of kids around, but she sometimes chases bubbles when it’s just us. It makes sense – a limited field of vision might make her more cautious in chaotic situations like that. Copper wire bubble wands, for custom shapes: maybe later on, when she’s more interested in crafts? What could awesome look like? Parenting doesn’t come intuitively to me, but I mostly make up for that with deliberate study. I read books and research papers for ideas, experiment with different ways to play, observe A-, get her feedback, and reflect on things myself. I want to improve my ability to play. I feel good about the research that has gone into the play-based approach to early childhood education. It makes sense to me, and I think it will be a good fit for A- too. There’s so much room for me to grow as A-‘s “stage manager, mediator, player, scribe, assessor and communicator, and planner”1. Stage manager: How can I provoke her curiosity by adding interesting things, and how can I give her space by removing things? How can I manage our time to match her energy and give her opportunities for different kinds of play? 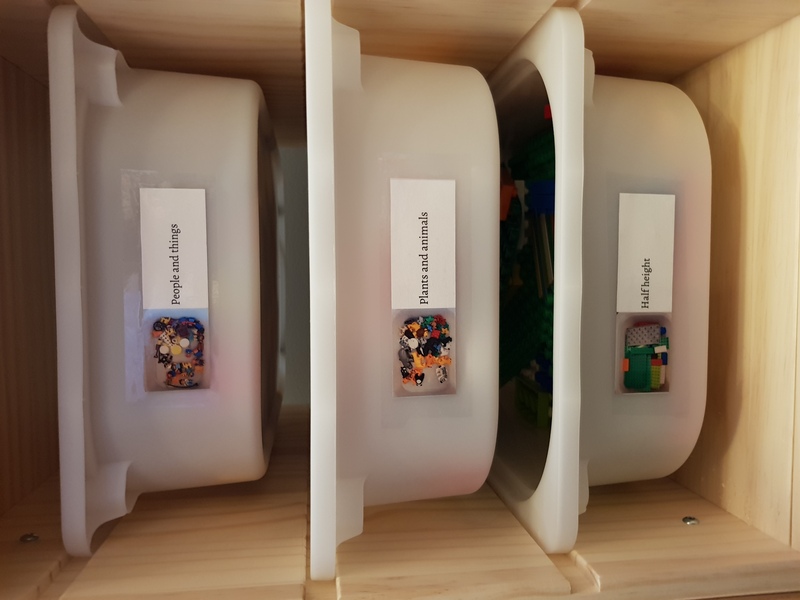 What’s a good balance in terms of props to support pretend play and loose parts to encourage imagination? How can I start building relationships for playdates and other avenues for socialization? Mediator: How can I support her interactions with other kids, modeling problem-solving and conflict resolution without dictating a particular approach? How can I help her learn emotional regulation and problem-solving techniques even when we’re playing by ourselves? Player: How can I build on her play scripts without taking over? How can I reflect her energy and enthusiasm? 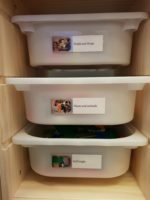 How can I invite her into everyday routines through play? Scribe: How can I help her play with writing and literacy? What can I model so that she can experience the power of writing, reading, and drawing? Assessor and communicator: How can I document and reflect on our learning? How can I share that with her and with other people? I tend to narrate and actively play with her. Maybe I can experiment with taking a step back so that she can take the initiative, and so that I have room to observe, document, and reflect. I capture a lot of tidbits. I can practise selecting some and tying them together into stories so that I can make sense of them. Planner: How can I help her raise the level of her play? How can I build on what she’s interested in? How can I share more ideas and experiences with her? We’re constantly learning and improving, and it’s fun. We enjoy spending time with each other and exploring the world. I can keep up with the breadth and depth of her curiosity. We might even learn most things through experimentation, rather than my answering her questions. Every so often, I summarize her learning in a specific aspect, marvel at her progress, and share the story with her, W-, and others. As she begins to turn more towards social play with peers, we have group interactions at drop-ins as well as one-on-one or small-group interactions with more regular friends. She has the confidence to negotiate roles in peer play and repair minor mishaps. She’s had lots of opportunities to feel good about other people. 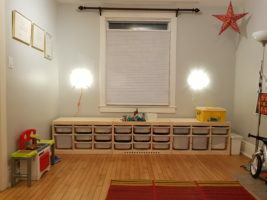 When she goes to preschool or kindergarten, she’s familiar with tools and materials. She can ask questions, think of ways to explore, enlist help, and take advantage of resources. She can tell me about her day, and we can think of ways to build on things when she’s at home. What do I want to work on now? During the day, I want to figure out how to play well with A-. I tend to narrate her actions and follow her lead. I love how she’s developed a large vocabulary and the confidence to make specific requests. I wonder about the possibilities that might open up if I step back and give her more quiet focus time so that she can take even more initiative. I also wonder about the possibilities that might open up if I engage her even more actively during pretend play, expanding scenarios and planning real-life experiences to enrich her imagination. There are benefits to both approaches, so it’s hard to go wrong. I want to get better at asking A- exploratory questions, too, and I’m looking forward to helping her develop the ability to think about ideas. Whee! I want to use some of the time when A- is sleeping to organize and reflect on her learning. I have a decent workflow for capturing specific moments. I’m starting to pick ideas and look at them across time so that I can get a sense of her progress over months, like this one I did based on a year of music classes. The next level up is to take either a single moment or a group of moments and ask myself: “What could she be thinking? Why would she think that way? How can we support and explore that? What might she want to learn?” If I can share that, that would be even better. How can I invest in learning this even better? What could the delta look like? 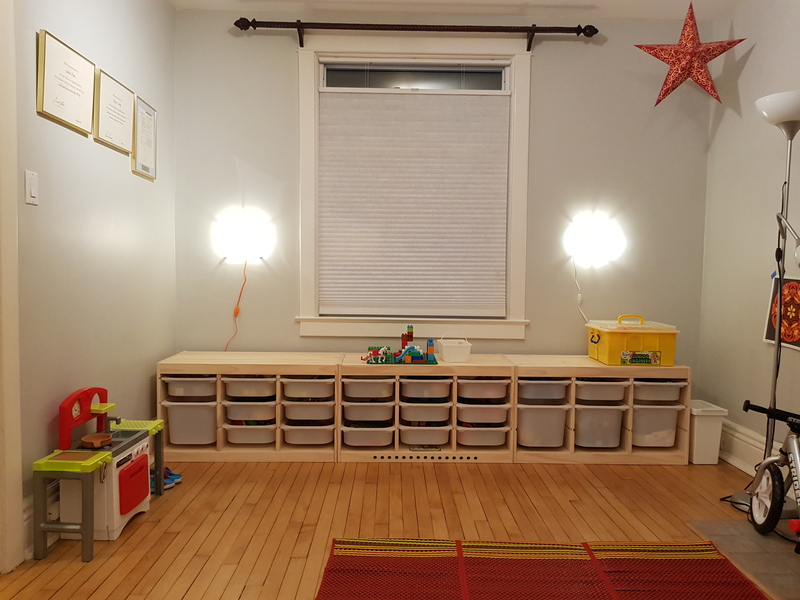 Stuff: What’s worth buying or adding to our play area? What can I share with the drop-in centres near us? Experiences: What kinds of experiences will tickle our brains? What can we go out and try? People: What questions could I ask an early childhood education consultant or teacher coach? How can I take advantage of someone’s professional experience while reflecting on A-‘s learning? How could that help me level up? How can I invest in building relationships and lifting other people up? The teacher’s roles described in Elizabeth Jones and Gretchen Reynolds’ book Play’s The Thing (2001), quoted in Full-Day Kindergarten-Based Learning: Promoting a Common Understanding.